KUALA LUMPUR – The defence will submit an appeal to the High Court judge Collin Lawrence Sequerah seeking that he withdraws from hearing cases on two money-laundering charges and another two on incorrect filings made to the Inland Revenue Board (IRB), faced by lawyer Tan Sri Muhammad Shafee Abdullah (pic). 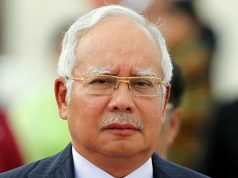 Counsel Harvinderjit Singh acting on behalf of Muhammad Shafee said the defence was of the view that Judge Sequerah should recuse himself from hearing the cases because he would have to hear other criminal cases involving Muhammad Shafee’s client – former Prime Minister Datuk Seri Najib Tun Razak. Harvinderjit Singh said Muhammad Shafee would have had no issue if the cases involved were heard by other judges who were not involved in the hearing of Najib’s cases. Judge Sequerah is scheduled to hear Najib’s 25 counts of bribery and money-laundering cases involving RM2.3 billion. 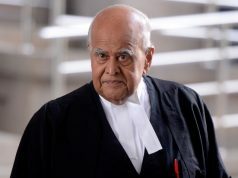 However, former Federal Court Judge Datuk Seri Gopal Sri Ram who is appearing for the prosecution did not object saying that it was up to the court since the hearing dates were fixed, and if the judge decided to withdraw, other dates would be fixed later. However, Judge Sequerah had a different view and decided to continue, subject to the application to be made by the defence. The court fixed April 15, 2019 for further case management and fixed 10 days for trial of the cases from June 10 to June 20. Muhammad Shafee also faces two counts of being directly involved in transactions arising out of illicit activities by making an incorrect return that breached Paragraph 113 (1) (a) of the Income Tax Act 1967. On Sept 13, Muhammad Shafee pleaded not guilty to the Sessions Court on two counts of involvement with money laundering by receiving illegal proceeds amounting to RM4.3 million and RM5.2 million respectively through two cheques from AmIslamic Bank Berhad belonging to Mohd Najib Abd Razak which were credited into two CIMB Bank Berhad accounts belonging to the accused. Muhammad Shafee was charged with committing the offences at CIMB Bank Berhad, J2 & K1, Taman Tunku, Bukit Tunku near here on Sept 13, 2013 and Feb 17, 2014. The two charges were filed under Section 4 (1) (a) of the Anti-Money Laundering and Anti-Terrorism Financing Act 2001 (AMLATFA) which provides for a maximum fine of RM5 million and imprisonment of not more than five years or both, upon conviction. Muhammad Shafee also pleaded not guilty to two charges with being involved directly in transactions involving proceeds from illegal activities namely by making an incorrect tax return to IRB breaching Paragraph 113(1)(a) of the Income Tax Act 1967 for the Financial Year ended Dec 31, 2013 and Dec 31, 2014. For the charge, Muhammad Shafee was charged with leaving out income received on Sept 13, 2013 amounting to RM4.3 million and income received on Feb 17, 2014 amounting to RM5.2 million via two AmIslamic Bank Berhad cheques belonging to Mohd Najib Hj Abd Razak which were credited into two CIMB Bank Berhad accounts belonging to the accused, where the accused was required by the Income Tax Act 1967 to make a filing on behalf of the accused. 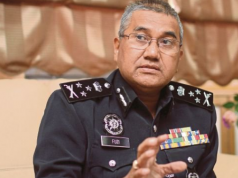 The two offences were allegedly committed at the Inland Revenue Board, Duta Branch, Government Office Complex, Jalan Tuanku Abdul Halim, here on March 3, 2015 and June 29, 2015. The charge were filed under Section 4 (1) (a) of the Anti-Money Laundering, Prevention of Terrorism Financing and Revenue from Illegal Activities 2001 (AMLATFAPUAA) which provides for a jail term of not more than 15 years and a fine of not less than five times the amount or value of unlawful activities at the time of the offences were committed or RM5 million, whichever is higher, upon conviction. Meanwhile, Muhammad Shafee, who was met by reporters after the mention of the cases yesterday, informed that seeking the judge to withdraw from hearing his cases would be filed this week. Previous articleவிஜய் சேதுபதி மலேசியா வருகை! கூட்டரசு நீதிமன்றம்: நஜிப் மீதான 42 மில்லியன் ரிங்கிட் வழக்கை தொடங்க உத்தரவு!